Discussions Magazine Music Blog: SOUTHSIDE JOHNNY: An EXCLUSIVE interview! 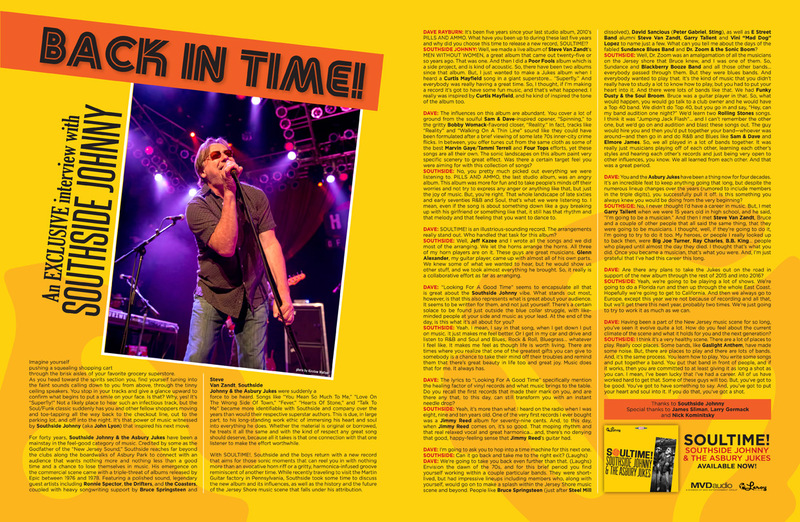 SOUTHSIDE JOHNNY: An EXCLUSIVE interview! Imagine yourself pushing a squealing shopping cart through the brisk aisles of your favorite grocery superstore. As you head toward the spirits section you, find yourself tuning into the faint sounds calling down to you from above, through the tinny ceiling speakers. You stop in your tracks and give a glance upward to confirm what begins to put a smile on your face. Is that? Why, yes! It’s “Superfly!” Not a likely place to hear such an infectious track, but the Soul/Funk classic suddenly has you and other fellow shoppers moving and toe-tapping all the way back to the checkout line, out to the parking lot, and off into the night. 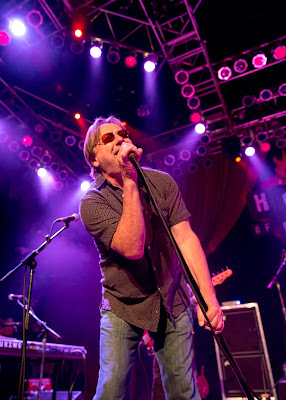 It’s that power of music witnessed by Southside Johnny (aka John Lyon) that inspired his next move. For forty years, Southside Johnny & the Asbury Jukes have been a mainstay in the feel-good category of music. 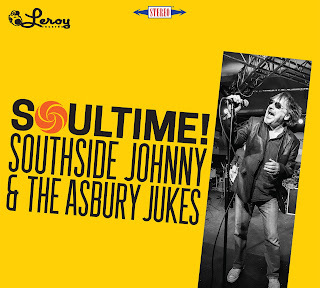 Credited by some as the Godfather of the “New Jersey Sound,” Southside reaches far beyond the clubs along the boardwalks of Asbury Park to connect with an audience that wants nothing more and nothing less than a good time and a chance to lose themselves in music. His emergence on the commercial scene came with a triple-threat of albums released by Epic between 1976 and 1978. Featuring a polished sound, legendary guest artists including Ronnie Spector, the Drifters, and the Coasters, coupled with heavy songwriting support by Bruce Springsteen and Steve Van Zandt, Southside Johnny & the Asbury Jukes were suddenly a force to be heard. Songs like “You Mean So Much To Me,” “Love On The Wrong Side Of Town,” “Fever,” “Hearts Of Stone,” and “Talk To Me” became more identifiable with Southside and company over the years than would their respective superstar authors. This is due, in large part, to his long-standing work ethic of immersing his heart and soul into everything he does. Whether the material is original or borrowed, he treats it all the same and with the kind of respect any great song should deserve, because all it takes is that one connection with that one listener to make the effort worthwhile. 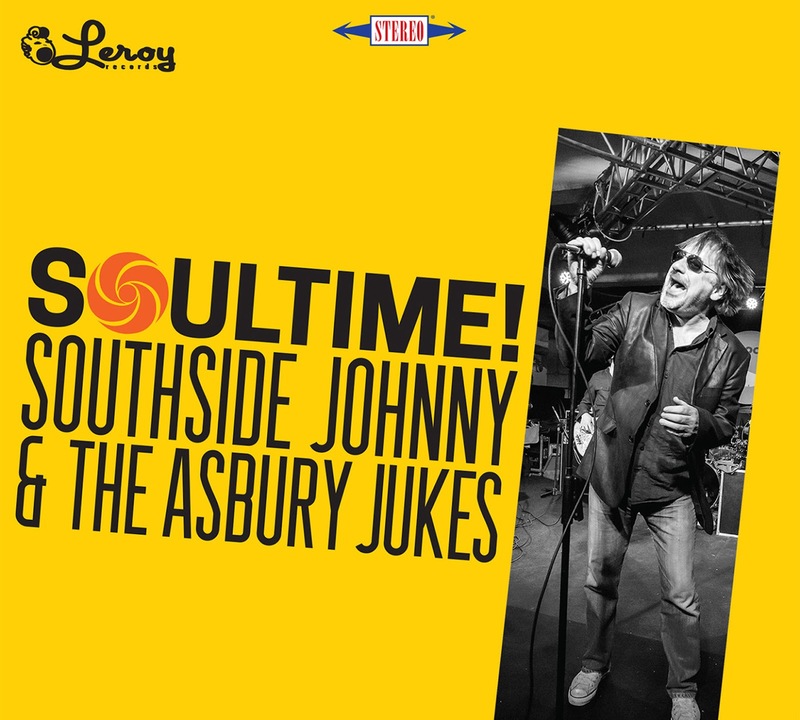 With SOULTIME!, Southside and the boys return with a new record that aims for those sonic moments that can reel you in with nothing more than an evocative horn riff or a gritty, harmonica-infused groove reminiscent of another time. While recently traveling to visit the Martin Guitar factory in Pennsylvania, Southside took some time to discuss the new album and its influences, as well as the history and the future of the Jersey Shore music scene that falls under his attribution. DAVE RAYBURN: It’s been five years since your last studio album, 2010’s PILLS AND AMMO. What have you been up to during these last five years and why did you choose this time to release a new record, SOULTIME!? SOUTHSIDE JOHNNY: Well, we made a live album of Steve Van Zandt’s MEN WITHOUT WOMEN, a great album that came out twenty-five or so years ago. That was one. And then I did a Poor Fools album which is a side project, and is kind of acoustic. So, there have been two albums since that album. But, I just wanted to make a Jukes album when I heard a Curtis Mayfield song in a giant superstore… “Superfly”. And everybody was really having a great time. So, I thought, if I’m making a record it’s got to have some fun music, and that’s what happened. I really was inspired by Curtis Mayfield, and he kind of inspired the tone of the album too. DAVE: The influences on this album are abundant. You cover a lot of ground from the soulful Sam & Dave-inspired opener, “Spinning,” to the gritty Bobby Womack-flavored closer, “Reality.” In fact, tracks like “Reality” and “Walking On A Thin Line” sound like they could have been formulated after a brief viewing of some late 70s inner-city crime flicks. In between, you offer tunes cut from the same cloth as some of the best Marvin Gaye/Tammi Terrell and Four Tops efforts, yet these songs are all their own. The sonic landscapes on this album paint very specific scenery to great effect. Was there a certain target feel you were aiming for with this collection of songs? SOUTHSIDE: No, you pretty much picked out everything we were listening to. PILLS AND AMMO, the last studio album, was an angry album. This album was more for fun and to take people’s minds off their worries and not try to express any anger or anything like that, but just the joy of music. But, you’re right. That whole landscape of late sixties and early seventies R&B and Soul, that’s what we were listening to. I mean, even if the song is about something down like a guy breaking up with his girlfriend or something like that, it still has that rhythm and that melody and that feeling that you want to dance to. DAVE: SOULTIME! is an illustrious-sounding record. The arrangements really stand out. Who handled that task for this album? SOUTHSIDE: Well, Jeff Kazee and I wrote all the songs and we did most of the arranging. We let the horns arrange the horns. All three of my horn players are on it. These guys are great musicians. Glenn Alexander, my guitar player, came up with almost all of his own parts. We knew some of what we wanted to hear, but he would show us other stuff, and we took almost everything he brought. So, it really is a collaborative effort as far as arranging. DAVE: “Looking For A Good Time” seems to encapsulate all that is great about the Southside Johnny vibe. What stands out most, however, is that this also represents what is great about your audience. It seems to be written for them, and not just yourself. There’s a certain solace to be found just outside the blue collar struggle, with like-minded people at your side and music as your lead. At the end of the day, is this it’s all about for you? SOUTHSIDE: Yeah. I mean, I say in that song, when I get down I put on music. It just makes me feel better. Or I get in my car and drive and listen to R&B and Soul and Blues, Rock & Roll, Bluegrass… whatever I feel like. It makes me feel as though life is worth living. There are times where you realize that one of the greatest gifts you can give to somebody is a chance to take their mind off their troubles and remind them that there’s great beauty in life too and great joy. Music does that for me. It always has. DAVE: The lyrics to “Looking For A Good Time” specifically mention the healing factor of vinyl records and what music brings to the table. Do you recall the first records that made their mark on you, and are there any that, to this day, can still transform you with an instant needle drop? SOUTHSIDE: Yeah, it’s more than what I heard on the radio when I was eight, nine and ten years old. One of the very first records I ever bought was a Jimmy Reed album for seventy-nine cents. And, to this day, when Jimmy Reed comes on, it’s so good. That moping rhythm and that real relaxed vocal and great harmonica… and, there’s no denying that good, happy-feeling sense that Jimmy Reed’s guitar had. DAVE: I’m going to ask you to hop into a time machine for this next one. DAVE: We’re going to take you back even further than that. (Laughs) Envision the dawn of the 70s, and for this brief period you find yourself working within a couple particular bands. They were short-lived, but had impressive lineups including members who, along with yourself, would go on to make a splash within the Jersey Shore music scene and beyond. People like Bruce Springsteen (just after Steel Mill dissolved), David Sancious (Peter Gabriel, Sting), as well as E Street Band alumni Steve Van Zandt, Garry Tallent and Vini “Mad Dog” Lopez to name just a few. What can you tell me about the days of the fabled Sundance Blues Band and Dr. Zoom & the Sonic Boom? SOUTHSIDE: Well, Dr. Zoom was an amalgamation of all the musicians on the Jersey shore that Bruce knew, and I was one of them. So, Sundance and Blackberry Booze Band and all those other bands… everybody passed through them. But they were blues bands. And everybody wanted to play that. It’s the kind of music that you didn’t really have to study a lot to know how to play, but you had to put your heart into it. And there were lots of bands like that. We had Funky Dusty & the Soul Broom. Bruce was a guitar player in that. So, what would happen, you would go talk to a club owner and he would have a Top 40 band. We didn’t do Top 40, but you go in and say, “Hey, can my band audition one night?” We’d learn two Rolling Stones songs. I think it was “Jumping Jack Flash”… and I can’t remember the other one, but we’d go on and audition and blast these songs out. The guy would hire you and then you’d put together your band—whoever was around—and then go in and do R&B and Blues like Sam & Dave and Elmore James. So, we all played in a lot of bands together. It was really just musicians playing off of each other, learning each other’s styles and hearing each other’s records and just being very open to other influences, you know. We all learned from each other. And that was a great period. DAVE: You and the Asbury Jukes have been a thing now for four decades. It’s an incredible feat to keep anything going that long, but despite the numerous lineup changes over the years (rumored to include members in the triple digits), you successfully pull it off. Is this something you always knew you would be doing from the very beginning? SOUTHSIDE: No, I never thought I’d have a career in music. But, I met Garry Tallent when we were 15 years old in high school, and he said, “I’m going to be a musician.” And then I met Steve Van Zandt, Bruce and a couple of other people that all said the same thing, that they were going to be musicians. I thought, well, if they’re going to do it, I’m going to try to do it too. My heroes, or people I really looked up to back then, were Big Joe Turner, Ray Charles, B.B. King… people who played until almost the day they died. I thought that’s what you did. Once you became a musician, that’s what you were. And, I’m just grateful that I’ve had this career this long. DAVE: Are there any plans to take the Jukes out on the road in support of the new album through the rest of 2015 and into 2016? SOUTHSIDE: Yeah, we’re going to be playing a lot of shows. We’re going to do a Florida run and then up through the whole East Coast. Hopefully we’re going to get to California. And then we always go to Europe, except this year we’re not because of recording and all that, but we’ll get there this next year, probably two times. We’re just going to try to work it as much as we can. DAVE: Having been a part of the New Jersey music scene for so long, you’ve seen it evolve quite a lot. How do you feel about the current climate of the scene and what it holds for you and the next generation? SOUTHSIDE: I think it’s a very healthy scene. There are a lot of places to play. Really cool places. Some bands, like Gaslight Anthem, have made some noise. But, there are places to play and there are lots of bands. And, it’s the same process. You learn how to play. You write some songs and put together a band. You put that band in front of people, and if it works, then you are committed to at least giving it as long a shot as you can. I mean, I’ve been lucky that I’ve had a career. All of us have worked hard to get that. Some of these guys will too. But, you’ve got to be good. You’ve got to have something to say. And, you’ve got to put your heart and soul into it. If you do that, you’ve got a shot.